Jucy Workout is a perfect bodybuilding workout logging app. Jucy Workout tracker app helps improve your workouts in the gym, improve your performance, log workouts, track statistics, body measurements, manage exercises and workout routines and its your ultimate workout trainer app. Jucy is the ultimate bodybuilding app for professional bodybuilders as well as for novice sportsmen & sportwomen. Jucy Workout Gym Log & Fitness app is being developed by professional athletes, which guarantees Jucy to be the most intelligent, effective, simple to use handy bodybuilding workout logging app, its like having your own personal workout trainer. The Jucy Workout Log, Gym Log & Fitness Log is designed to work with less user input: This way you can spend more time working out and less time entering your results. This Jucy Workout Gym & Fitness Log is the best workout app for logging any other activity be it Skiing, Swimming, Jogging or any other Cross fit training program. 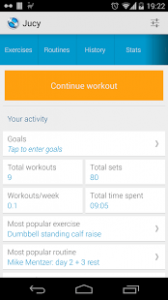 Jucy Workout Log tracker does not contain any ads. Backup and restore workouts, exercises and history. Jucy is free to try for one and a half month and costs just ~2 USD after the trial period ends. Jucy is optimized for phones and tablets and is being developed rapidly with major updates & upgrades. Cloud Backup – now it is possible to make backups to Google Drive and restore the database without even quitting the program. More importantly, you can configure Jucy to perform backups after every workout automatically, which will guarantee that the data will be in safe and always available. Jucy Workout Gym & Fitness Log is your best Bodybuilding workout app, logging workouts, body measurements, tracking statistics, managing exercises and workout routines. Jucy is versatile and suits for Bodybuilding gym, fitness, swimming, skating and everything else you can measure. No other bodybuilding workout app is as good as Jucy. This app is almost everything you want in a gym teacher app. It’s flexible, simple, comes with a few free workouts pre-loaded and doesn’t crash all the time! What could be improved to make it 5*? Integrating it with Google Fit or other services on my phone, to avoid duplication of data (weight, etc.) and allow a central fitness tracking app. I was looking for an app like this on android for weeks and man oh man I am happy that I found it! I love that it gives you the option to log not only previously created routines, but also on the fly freestyle workouts… I love having that kind of flexibility in a workout logging app because sometimes you have to call an audible. Backups to Google Drive and lots of customizations (definitely digging the dark mode!) Awesome app here folks! By far the best workout app I’ve used. 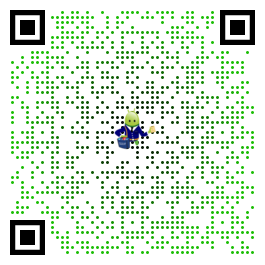 I don’t know why everyone isn’t using it. Completely customizable. I can add all my own specific exercises. I don’t have to use pre-installed workout templates or exercises. I can’t say enough about it.